Ralph Snyderman, Personalized medicine 2014: has healthcare been transformed? Biomarkers can be multi-faceted and play important roles in disease diagnosis, prognosis, and monitoring; as companion diagnostics, they are important for predicting response to therapy. Possible clinical biomarker applications seem almost infinite, yet there are still significant obstacles for broad adoption in the clinic, including technical, regulatory, and reimbursement challenges. Johns Hopkins Uni., Oxford Uni., Duke Uni., Harvard Uni., Weizmann Inst., McGill Uni., Kyoto Uni., Uni. of Florida, Leiden Uni., Uni. of Pittsburgh, Technion, Korea Uni., Michigan Uni. The strong interest in prenatal and newborn diagnostics is being addressed in an opening lecture by Dennis Lo, Li Ka Shing Institute, followed by presentations by companies that operate in this space. 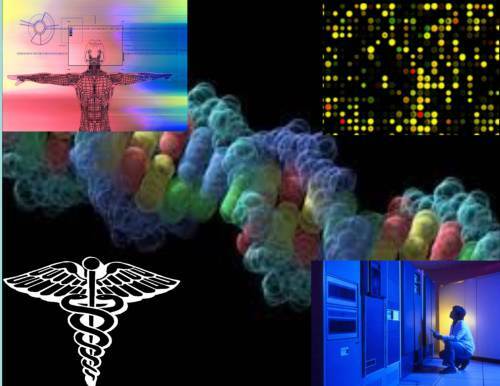 Another key topic area well addressed at PMWC2015 is the deployment of NGS addressed by practitioners such as Illumina, Thermo Scientific and Trovagene, that offer tools and technologies allowing the deployment of NGS into clinical practice. Content-focused companies such as Foundation Medicine frame the opportunity for cancer care through NGS. Genomic profiling in routine clinical care enabled by companion diagnostics is discussed by Amgen’s Scott Patterson, along with speakers from Abbott and Thermo. PMWC brings to light the emerging themes in the migration of NGS toward the clinic. The adoption of Personalized Medicine is being driven by the pervasiveness of NGS. It is estimated that 50% of academic oncologists currently refer their patient samples for NGS-based genomics testing—of course this is only a small fraction of the total patient population since a vast majority of cancer patients receive care in community hospitals without access to NGS and other molecular medicine tools. Frank Ong, Associate Director of Medical Affairs at Illumina, chairs a session focusing on the impact of NGS in clinical care beyond cancer as it is gaining traction in many other therapeutic areas. Indeed, NGS is bigger and far-reaching beyond merely oncology. In the cardiovascular area the discovery and development of biomarkers for more precise diagnosis and treatment is the focus of a session chaired by Gil Omenn, from the University of Michigan. The streamlining of clinical trials through the utilization of personalized medicine to stratify and target responder patient populations is addressed at PMWC, highlighting the advantage of cost-effectiveness to pharmaceutical companies and clinical value to patients and payers. PMWC2015 offers a forum for the US FDA Commissioner, Margaret Hamburg to comment on evolving FDA regulation on laboratory developed tests (LDTs) – key area of change in this industry and of paramount importance to personalized medicine. George Lundberg from CollabRx chairs an important session on ethics and public law in personalized medicine—an area gaining interest as personalized medicine begins to permeates all aspects of the practice of medicine. Without reimbursement personalized medicine will not prevail. Palmetto GBA will give an update on the evolving reimbursement trends in personalized medicine. The regulatory and commercial framework of personalized medicine is absolutely critical to its deployment and acceptance industry-wide, and PMWC brings together the FDA and legal experts such as Hank Greely from Stanford to comment on the ethical and legal framework surrounding patient privacy and confidentiality, as well as moral perspectives of personalized medicine. The Louvre Museum has 8.5 million visitors per year. This blog was viewed about 230,000 times in 2014. If it were an exhibit at the Louvre Museum, it would take about 10 days for that many people to see it. The busiest day of the year was December 10th with 2,133 views. The most popular post that day was The History of Hematology and Related Sciences. In 2014, there were 1,082 new posts, growing the total archive of this blog to 2,609 posts. Reblogged this on Leaders in Pharmaceutical Business Intelligence.